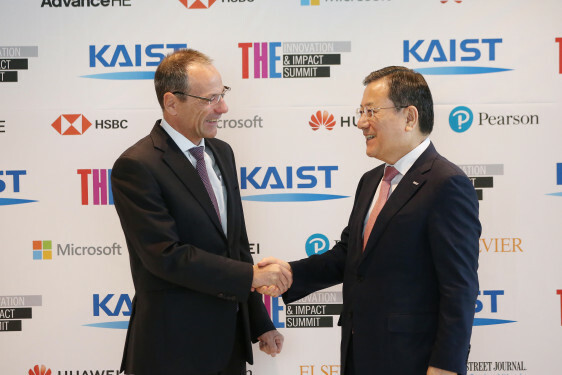 Global leaders from 115 institutions across 35 countries reaffirmed that the roles of universities are evolving to become much broader and more diverse, and redefined the impact of higher education last week at KAIST. 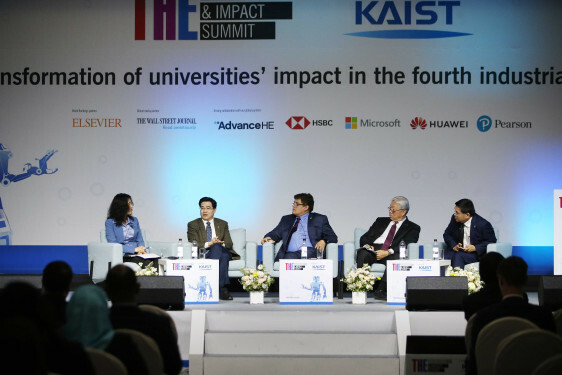 During the THE Innovation and Impact Summit hosted by KAIST in partnership with the Times Higher Education, global leaders in higher education, industry, and government all agreed that universities should respond better in order to have a lasting and sustainable impact on society. In an effort to encourage social responsibility and boost the impact of universities, the THE first launched the University Impact Rankings based on the Sustainable Developed Goals declared during the 2015 UN summit. 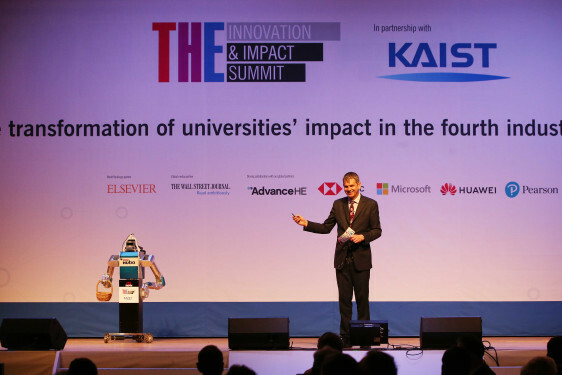 The THE’s University Impact Rankings are the first global attempt to evaluate universities’ impact on society, rather than only focusing on research and teaching performance. The new metrics include universities’ policies and outcomes based on 11 of the 17 UN SDGs. More than 500 institutions from 75 countries submitted data for the new rankings. The top three scores from ten of the SDGs were combined with SDG 17 to calculate the final score. 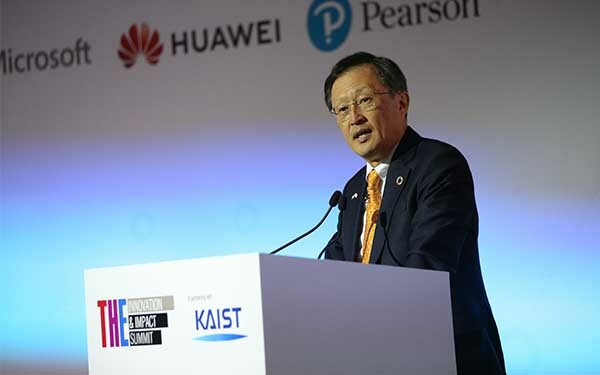 The University of Auckland placed first in this new ranking while KAIST ranked fourth in the category of SDG 9 on Industry, Innovation, and Infrastructure. Keynote speakers all shared their views on disruptive knowledge and how to adjust to the new AI technology-driven, socio-economic culture. 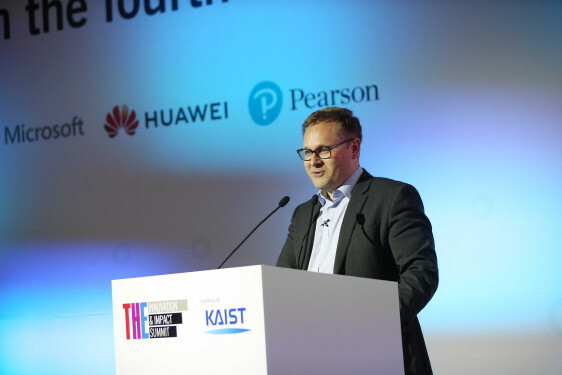 Lino Guzzella, former ETH Zurich President, argued in his keynote speech that there has been amazing growth in university enrollments, coupled with a substantial mismatch between what universities teach and what society needs. He went on to say that universities should look beyond the classical university model and find a way to train the next generation in a way that ensures society has a role for them. “The likelihood of each generation having a higher income at the age of 30 than their parents has diminished dramatically,” he said. He provided data that showed that middle-income professions have been declining, and between 2000 and 2010 the number of very high-skilled jobs and very low-skilled jobs doubled, whereas the number of those in the middle increased far more slowly. He expected that this trend will continue, saying that universities should focus on instilling critical thinking, interdisciplinary studies, and ‘productive failure’ to students in the new era. He also shared the secret recipe for the reduced youth unemployment statistics in Switzerland. He said that the education system in Switzerland was designed so that only 20 percent of an age cohort undertakes a classical university education, while 80 percent do vocational training run by companies. They learn what is really needed by industry and society from the early stages of their careers, so no mismatch exists. Chi said that there is a global ‘tech-lash’ that has arisen due to falling trust in major IT companies. On the other hand, universities are trustworthy. People perceive that universities are not merely seeking profits, and they can take advantage of it for fostering next generation researchers and CEOs, which can stand for ‘Chief Ethics Officers’. 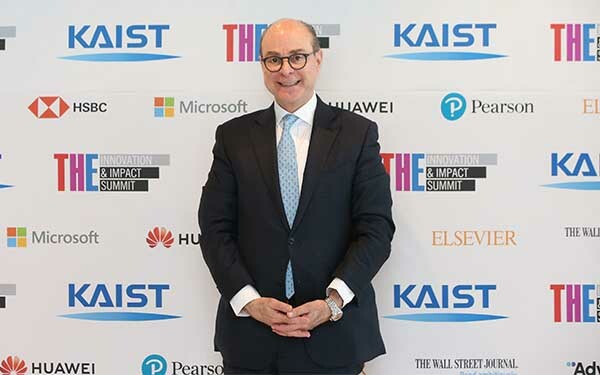 In the last day’s keynote speech, President Joseph Aoun of Northeastern University said that higher education risks becoming obsolete if it does not fully embrace lifelong learning. He also talked about preparing learners to succeed in the AI age. He said that lifelong learners made up 74 percent of learners in the US, and only 34 percent of universities in the country fill their seats, but higher education has not yet incorporated lifelong learning as part of its core mission. He said that lifelong learning is going to require that we listen to the needs of society, of both individuals and organizations. He also called for institutions to create curricula based on what he termed ‘humanics’ – the integration of technological literacy, data literacy, and human literacy, and said that this should be combined with experiential learning.